Boca Raton Wildlife Removal in one of the Nation’s Largest and Most Trusted Wildlife Removal and Animal Trapping Company! We provide full-service nuisance animal removal services for all of Palm Beach County & Boca Raton Florida! Our Approach to removing nuisance and unwanted animals from your home or business in Boca Raton FL is comprehensive and humane. We will perform a FREE Home Inspection to properly diagnose what species of nuisance wildlife you are dealing with in Palm Beach County. We will examine the feces, urine, and scent trails left behind in your attic to properly identify the Animal that you are having issues with in Palm Beach County or Boca Raton. We will then set humane traps in and around your Boca Raton home to capture the anima that is causing you issues. Once the animal is caught in our trap, we will relocate it to a designated Wildlife Management Preserve in either Palm Beach County or Boca Raton Florida. After removal we will close off any of the access points on your roof, soffit, or exterior, ensuring and protecting your home against any further animal invasion and infestation in Boca Raton FL. Finally once the home is fully protected our team of wildlife experts in Palm Beach County we will remove all feces, urine, and other signs of animals from your attic, and treat the attic with an antimicrobial antiseptic to disinfect and deodorize your attic and home. From Start to Finish our Animal removal programs in Boca Raton & Palm Beach County generally take two weeks, so if you think you are dealing with a wildlife problem, give the our team a call and we would be happy to get started on your Boca Raton animal removal project ASAP!! Animal removal and Wildlife Control in is closely regulated by Boca Raton County Animal Control and by Florida State Wildlife Commission to ensure humane and proper treatment of the wild animals removed. Before you hire any animal removal professional in Boca Raton FL be make sure they have the proper licensing & paperwork from the Boca Raton County & State and that they have the proper insurance to perform work to your home. The Team at Boca Raton Wildlife Removal prides ourselves on our honesty, integrity, and overall care for our customers and animals. We are a privately owned company operating out of Boca Raton FL and Palm Beach County FL and we care about our reputation, our employees and our customers, about doing the right thing, and taking the best care of animals. It has always been our promise to provide good quality service at a fair and honest price. We are here to help with Daytona Animal Removal. We are dedicated to protecting you, your home, and the animals. We backup our work with a 100% satisfaction and Money Back Warranty. If you are not satisfied with the results of your program, we'll provide corrective service at no additional charge. After 30 days, should your problem persist, we’ll continue to provide service at no additional charge until you are satisfied, or we'll refund your last regular service payment. Our exclusion techniques are the most advanced in the industry and are proven to withstand even the harshest weather and re-entry attempts by animals. We guarantee you the highest quality materials and workmanship and promise they will withstand weather, erosion, and wildlife! All of our services come with a one to five year guarantee. Boca Raton Wildlife Removal is here to assist you with all your nuisance wildlife needs in Boca Raton and Palm Beach County. We specialize in trapping and removal of Raccoons, Rodents, Opossums, Skunks, Armadillos, Bats, Squirrels, Snakes, and even dead animals! We know that each situation is unique, the wildlife we deal with here in Florida is 2nd to none, and anything and everything can happen when you are dealing with a wild animal of any kind in Boca Raton or Palm Beach County. We are the best Boca Raton bat removal company. That is why we are happy to offer you a free inspection, our highly trained and educated managers can come to your home, crawl in your attic, get on your roof, and crawl under your home! Rest assured we will find the animal and all the access points and evict them. Raccoons, rodents, bats, and squirrels love to find openings in your Palm Beach County roof and move into your nice cozy attic! Armadillos, skunks and snakes will find any opening in your foundation or get into your crawl space in Boca Raton and make themselves comfortable in the safety of you home! Boca Raton Wildlife Removal is the best Boca Raton Animal Control company and will not only remove and relocate these unwanted guests from your home but will also seal up all the access points and prevent them or their friends from coming back! Even if you are not sure what type of wildlife that you may be dealing with. Our managers are all educated in wildlife biology and can figure out what you are dealing with for you (sometimes by just looking at the poop!) Whether you have a raccoon eating your pet food and getting into your garbage or an armadillo digging holes all over your yard, or even rats/ bats living in your attic. Boca Raton Wildlife Removal will quickly, professionally and effectively take care of all your wildlife problems! All of our work is guaranteed and comes with a one to three-year renewable warranty! Don’t let nuisance wildlife stress you out! Call Boca Raton Wildlife Removal today for your free inspection! We are proud partners and members of the National 247 Wildlife Control Network. You can visit their website at www.CenturianWildlife.com. We have the National Support, Trust, Training and assistance from our Parent Company 247 Wildlife Control. 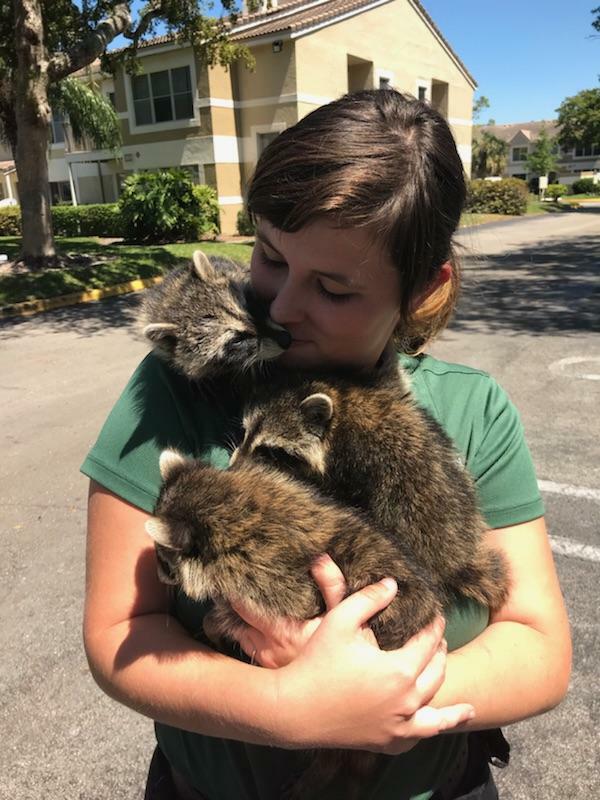 We have gone through years of Training in Raccoon Removal & Boca Raton Bat Control to ensure the proper safety for the animals, our staff, and our customers. Being partnered with a National Wildlife Control Network allows our customers to have the faith & trust in our National Brand and with this passes the National Wildlife Control Warranty. We assure our customers our patented 100% Money Back Guarantee. If you are not satisfied with the results of your wildlife control program, we'll provide corrective service at no additional charge. After 30 days, should your problem persist, we’ll continue to provide service at no additional charge until you are satisfied, or we'll refund your last regular service payment. Our staff regularly undergoes Training and Courses with Brendan Mangnitz, the Owner and Founder of 247 Wildlife Control. We are continually learning news & state of the art ways to humanely Control Nuisance Animals and Remove Critters from the Attic. Our Boca Raton Animal Removal Techniques are constantly being perfected to help us control the growing bat problem that we have here in Boca Raton and Palm Beach County, Florida. We always strive to get rid of pesky animals and remove Squirrel Poop from the Attic, and being partnered with a Nationwide company allows us to have the available help, skills and resources to humanely and permanently solve your Wildlife Control & Animal Removal Problem. We are Boca Raton Florida’s Premier Wildlife Control and Animal Removal Company. We will take care of all your nuisance wildlife needs, there really isn't any Animal we can't Control. We can get the raccoons out of your attic. We can keep the bats out of your house. We can trap and remove the armadillos digging up your lawn. We can remove the squirrels in the attic. We specialize in Rat Trapping and Rodent proofing your home. Our staff is expertly trained and certified in wildlife and animal control throughout all of the state of Florida. If you are experiencing an issue with Animals in the walls, or critters in your attic, then give us a call and we would be more than happy to set up a FREE INSPECTION to take a look at what your wildlife issues may be.